I pride myself on having an organized, clutter-free home. I like knowing that every item has a place where it belongs. I live by one simple rule: save only what you need, use, or have strong sentimental attachment to. This way, everything in my home has a purpose and I don’t feel overwhelmed by all my “stuff”. Because let’s face it, too much stuff is stressful! You know when you watch those reality TV shows where a professional organizer comes in to help a person clean up their home? The first thing they always do is create three separate piles for their stuff. They’ll have a box for items to keep, items to throw away and items to donate. I do something similar in my home, but do it year-round. I have a Donation Station box set up in my front closet. It’s easily accessible so that as I’m cleaning and organizing, I can add to the box if I come across an item I no longer want to keep. Once the box is full, I head to our local Value Village to donate. My mom got me hooked on Value Village when I moved back to my hometown last year. She has been donating there for years and does something similar to me with my Donation Station. Here’s a quick peek at several of the items that I’ll be donating to Value Village shortly. As you can see, there is a mix of things from different rooms in my home. It’s rare that I’ll keep a book after I’m finished reading it. I just don’t have the room in my house to hold hundreds of books. Once I’ve read a book, it goes in my Donation Station box. 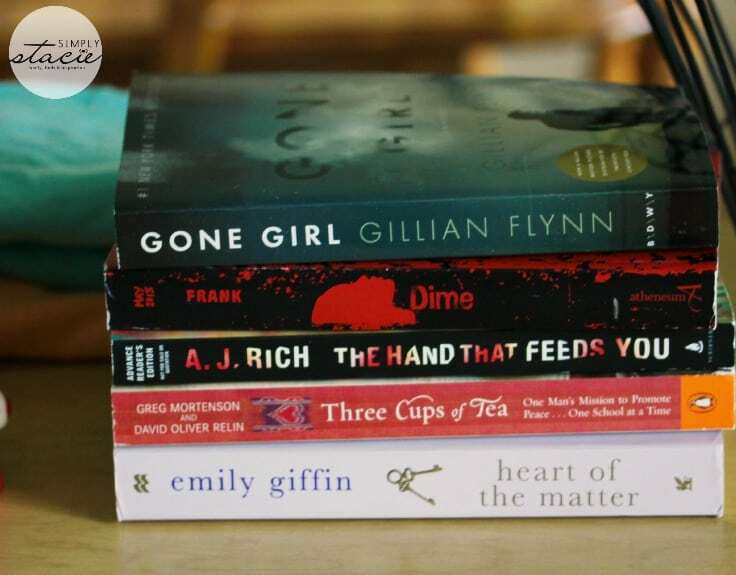 Gone Girl by Gillian Flynn was one of my favourite books. I hope who ever reads it next enjoys it as much as I did. 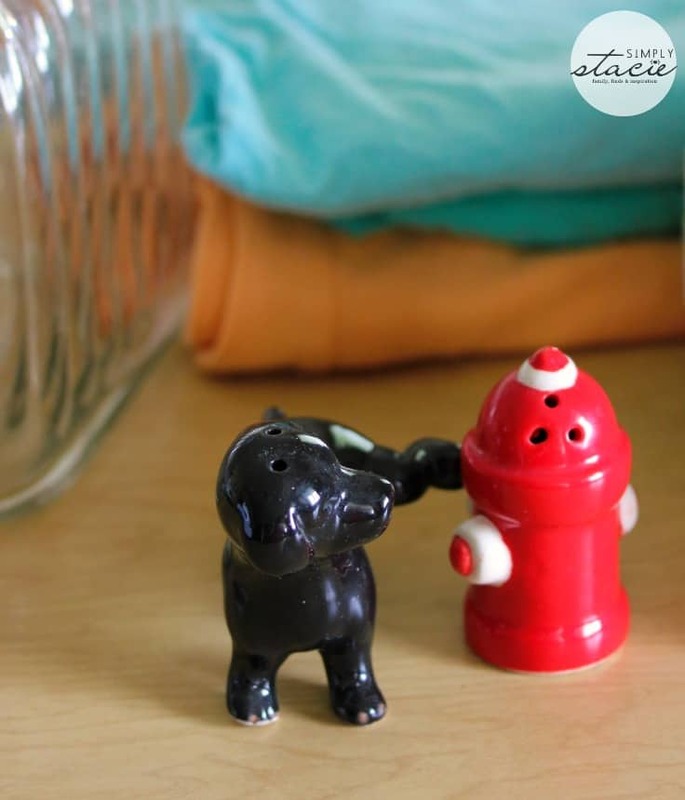 There is nothing wrong with this adorable salt and pepper shaker. It’s in beautiful condition and is a little quirky, too. It just doesn’t match the kitchen in my new home. It would be perfect for a person with black or red kitchen decor or someone who wants an interesting conversation starter to display in their home! When I cleaned out my pantry a few weeks ago, I no longer needed to keep this large glass cookie jar. 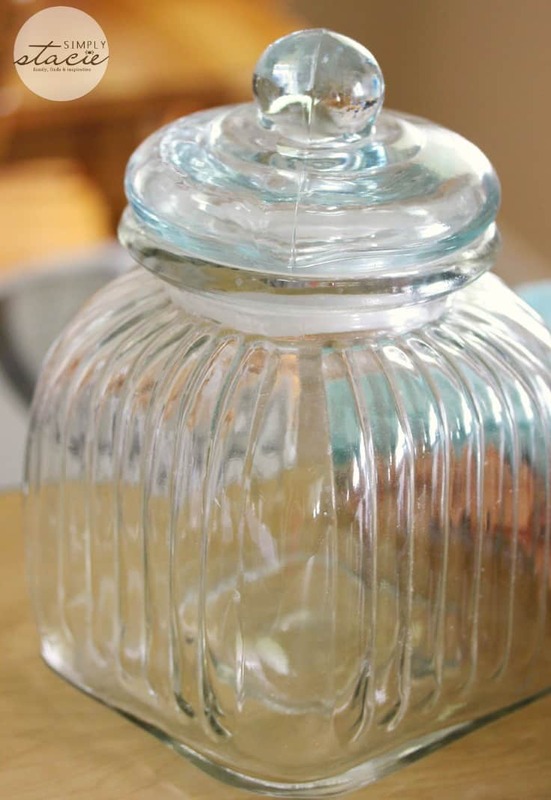 It can be used to keep homemade cookies fresh or used as storage for items in your pantry. 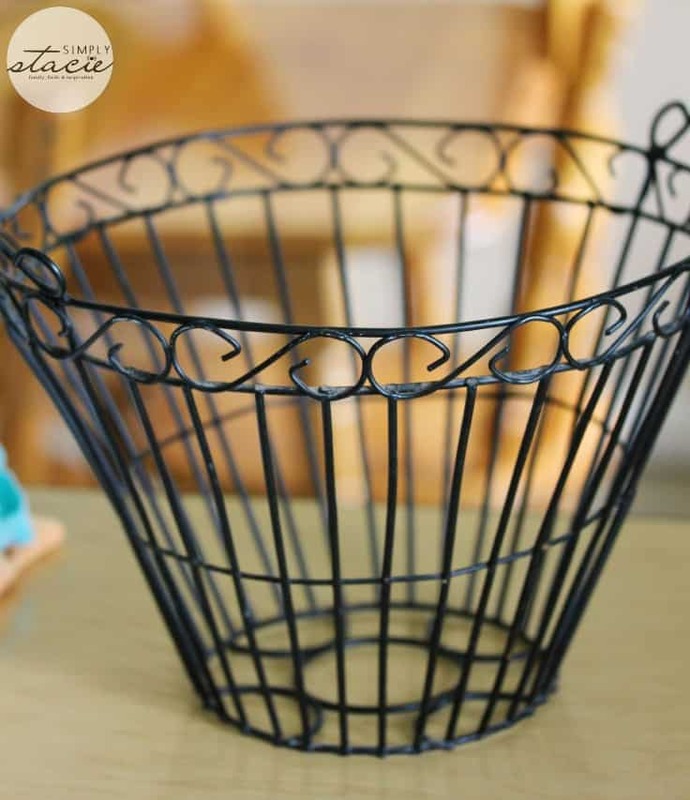 This wire basket used to sit on my kitchen table and was filled with fruit. I’m using a smaller basket now so don’t need to keep this one. When I drop off my donations at Value Village, I’ll usually go in and look around. I love checking out the clothing and household items and have found a few gems! My “new” spring coat is a Value Village find. 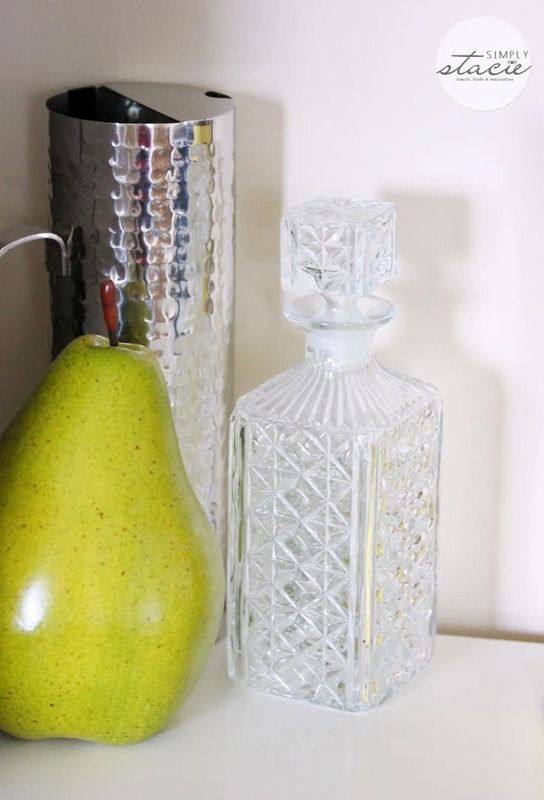 Check out this beautiful crystal decanter. It was also from Value Village and now sits on display on my buffet. Out with the old and in with the “new,” as they say! It proves that items you no longer need can be used and loved by someone else. Passing it on feels great and I hope its next owner will love it as much as I did. You might also like do’s and don’ts for donating items to charity. Value Village is more than your favourite thrift store – they also support nonprofit organizations like Canadian Diabetes Association and Developmental Disabilities Association, among others, in your community. Remember to donate your reusable items to local nonprofits at Value Village! In addition to supporting the nonprofit, you’ll also be helping planet Earth. Value Village, Good n’ Thrifty! 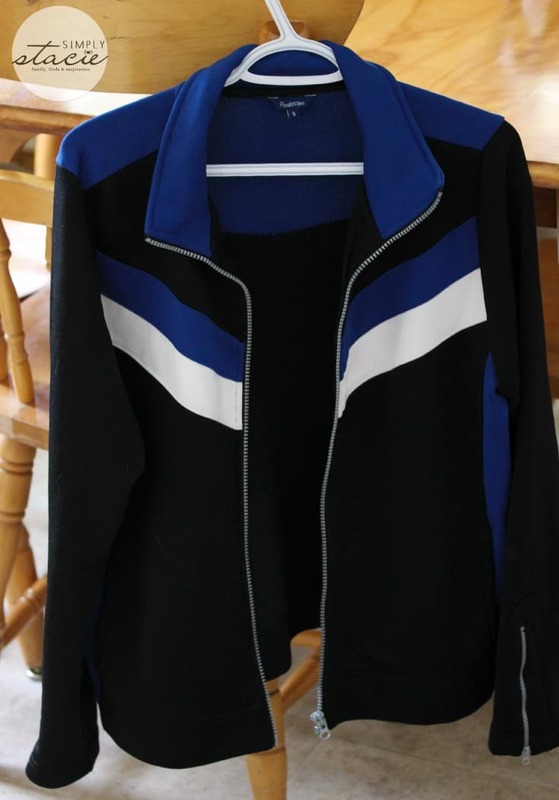 Disclosure: This post was brought to you by Value Village via Mode Media Canada. The opinions expressed herein are those of the author and are not indicative of the opinions or positions of Value Village. I did a BIG clean out, about 3 years ago! I cleaned out my storage closet, my own closet, and my kitchen cupboards…and sold some of it, and donated some of it to a close friend of my mother’s!! It felt so good to be rid of stuff that I had been hanging onto stuff for no reason at all!!! I do a purge every other weeks, there’s always stuff to get out the door….especially with growing kids. I have a few people we pass things on to …. Every spring and every fall I clean my house from top to bottom,it might seem like a lot of work but actually its not because I only have in my home what we need or are using. No nick knacks. I need to start doing this!! I get clutter everywhere!! It’s a horrible habit and I shouldn’t let it happen. I love right down the road from a goodwill and can take things there often… Now to actually DO it lol!!! I love your decanter you picked up!! How I envy you! 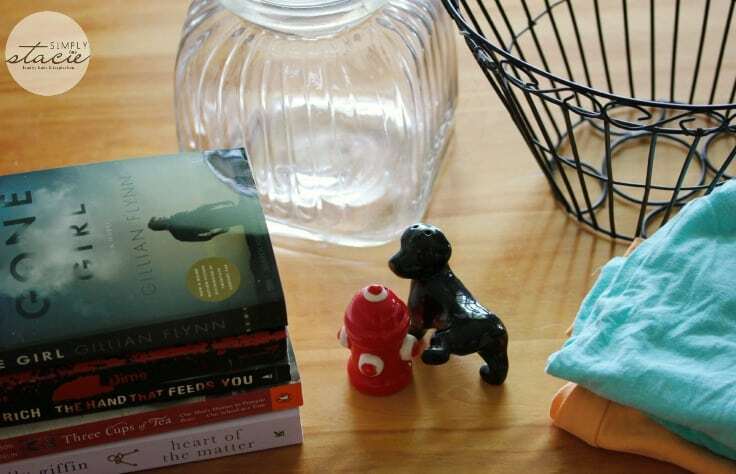 I am the most disorganized person on the planet, and my home is Clutter City. I have to get the nerve to start donating things, or throwing things out. I think I am verging on being a hoarder……! 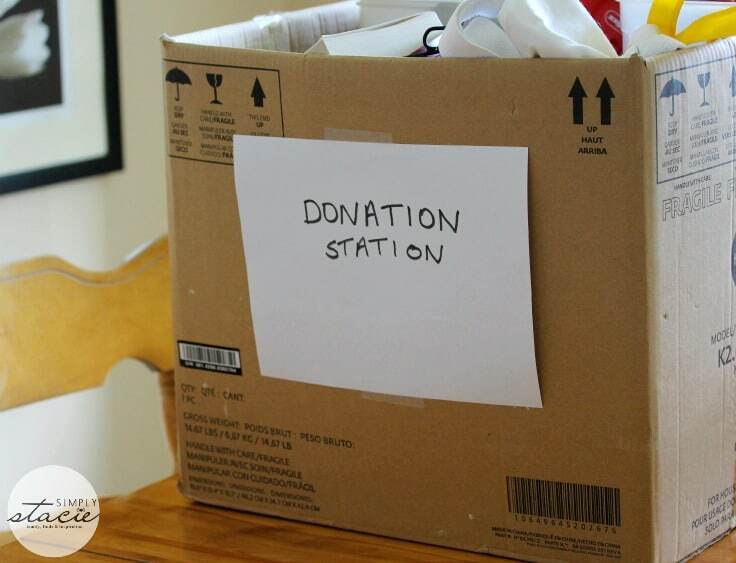 I’d like to ut up a Donation Station box, too, but there’s no room for it. I need help with this – I might need to call one of those professional organizers. 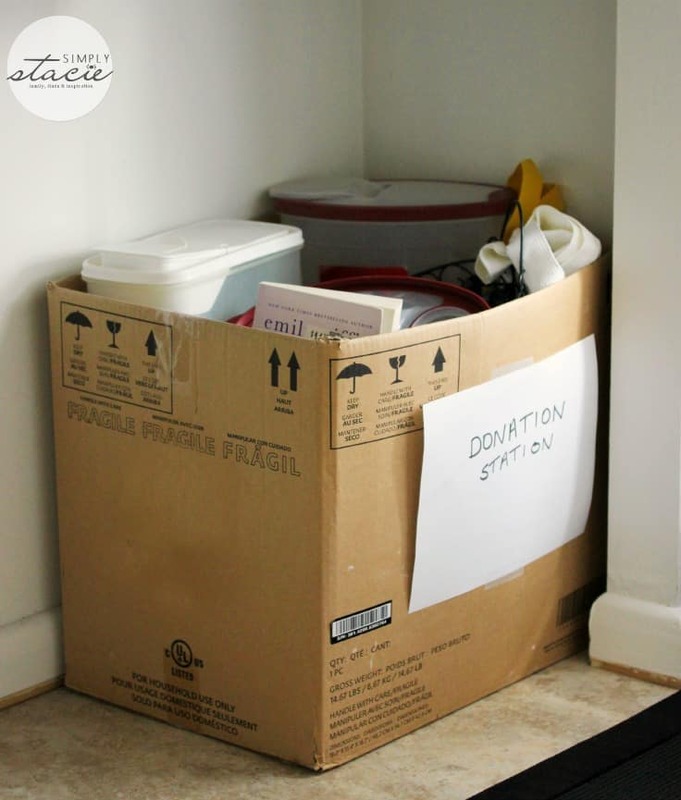 It’s true, having a box where to put stuff to donate makes it way easier. Everthing is in one place and when it’s full you just have to bring it to your favourite place for donation! Great tip! I usually have a bag hanging out near the front door of stuff to donate. 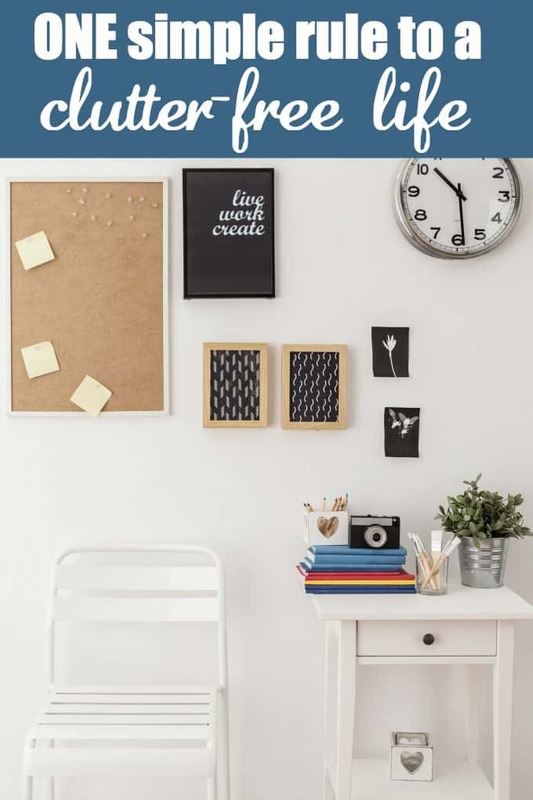 It’s a great way to keep clutter out and make sure you only have things around the house that you use, love, or absolutely need. We do this too! We use paper Trader Joe bags because we usually have quite a few in the house. We are doing a lot of decluttering this year so there have been many donation runs! Why not donate to a TRUE charity like the Salvation Army or a Hospice Society second hand store rather than to a multi multi million dollar business owned by and profiting millionaires under the guise of being a charity.